The ISO MPEG-7 Standard, also known as a Multimedia Content Description Interface, will be soon finalized. After several years of intensive work on technology development, implementation and testing by almost all major players in the digital multimedia arena, the results of this international project will be assessed by the most cruel and demanding judge: the market. Will it meet all the high expectations of the developers and, above all, future users? Will it result in a revolution, evolution or will it just simply pass unnoticed? In this invited lecture, I will review the components of the MPEG-7 Standard in the context of some novel applications. I will go beyond the classical image/video retrieval scenarios, and look into more generic image/object recognition framework relying on the MPEG-7 technology. Such a framework is applicable to a wide range of new applications. 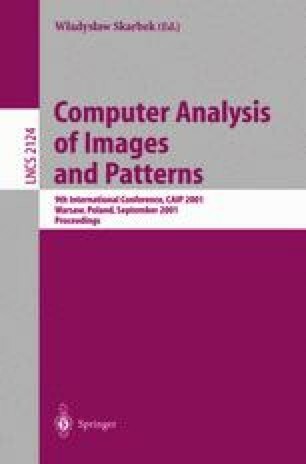 The benefits of using standardized technology, over other state-of-the art techniques from computer vision, image processing, and database retrieval, will be investigated. Demonstrations of the generic object recognition system will be presented, followed by some other examples of emerging applications made possible by the Standard. In conclusion, I will assess the potential impact of this new standard on emerging services, products and future technology developments.